CASH-STRAPPED Kuala Lumpur are prepared to take the unprecedented step of an FA of Malaysia (FAM) affiliate withdrawing from the Super League. 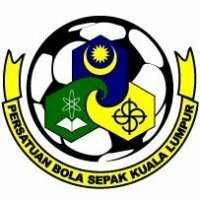 The Kuala Lumpur FA (KLFA) would rather focus on development and running domestic competitions. As the financial pinch continues to roil KLFA, its president Datuk Astaman Abdul Aziz sees no option but for the city side to forsake professional football for an administrative role. 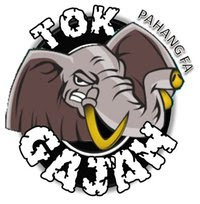 KL players and coaches are owed a total of RM500,000 for three-and-a-half months of wages leading to huge pressure on Astaman to settle the dues before the Hari Raya celebrations at the end of the month. 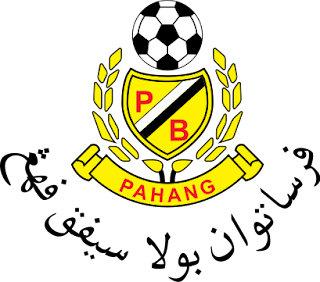 Several leading players have resolved to leave KL after the Malaysia Cup with Yong Kuong Yong, Shahrom Abdul Kalam and Norazlan Razali -- all recent call-ups to the national team -- already attracting interest from Kelantan, Johor FC and Perak. If that is not bad enough, KL face expulsion from the Malaysia Cup next month if an official complaint is registered with FAM, which has adopted a hard-line approach over non-payment of salaries. KL's traditional small fan-base and lack of big name players have been a hard sell to potential sponsors, which is threatening to scupper Astaman's plans to privatise the KL Super League team. The idea is for KLFA to sever links with the professional team and concentrate only on development and the organisation of the city's three-division league. "We are talking to two entities over the long-term future of the KL team. But if I cannot satisfy the financial conditions of FAM, then I'm going to throw in the towel. "I don't want it to come to that but we cannot take part next year if we have no money," said Astaman yesterday, a day after holding a meeting with Federal Territories and Urban Well-being Minister Datuk Raja Nong Chik Raja Zainal Abidin over KLFA's predicament. Astaman declined to reveal details of the meeting but his threat is an apparent attempt at forcing City Hall's hand in releasing funds amounting to an estimated RM350,000 promised to KLFA at the start of the season. KLFA is also sore over City Hall's tardiness in fixing the ruined KLFA Stadium field in Cheras which has left KL homeless for the Malaysia Cup. KL's financial problems have also left coach Razip Ismail in a fix as players only attend training on alternate days. The effect is seen on the pitch with KL losing friendly matches against the Malaysian Universities team (1-0) and Kelantan (5-0) before holding Felda United (0-0) on Tuesday in Bangi. Astaman, who has advanced over RM1 million to KLFA since first being elected deputy president in 2009, promised to pay the players their salaries before Hari Raya. "I hope to resolve this before Hari Raya but I cannot deny the players liberty if they want to move away. For me it is better if the FA did not have to run a professional team. "I would be happy to run our academy (in Taman Melati) in tandem with Liverpool, who would have first-refusal on any emerging talent. We also have a 67-team league which I am very proud of but I cannot be fire-fighting all the time as it distracts us from our main role of development."